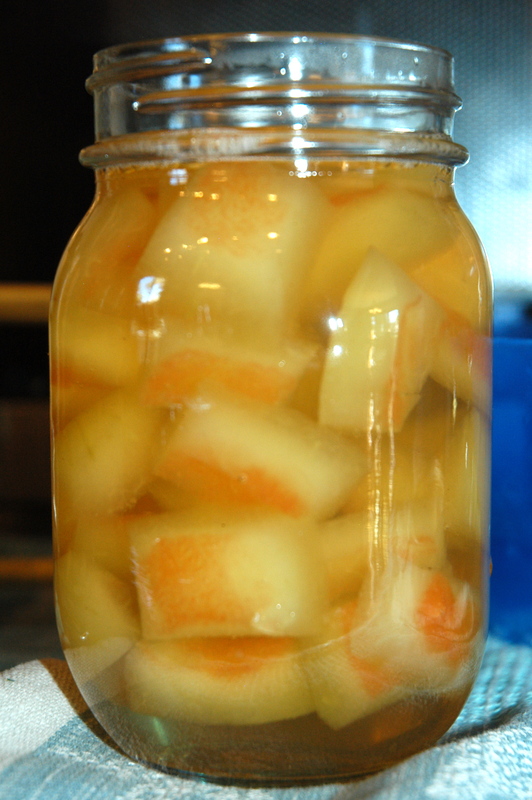 Pickled Watermelon RindIn the garden we are regularly left with pounds of food scraps to compost. So when we discovered pickled watermelon rind our ears perked right up at the idea of another garden snack! What a great lesson in resourcefulness for all of us! !